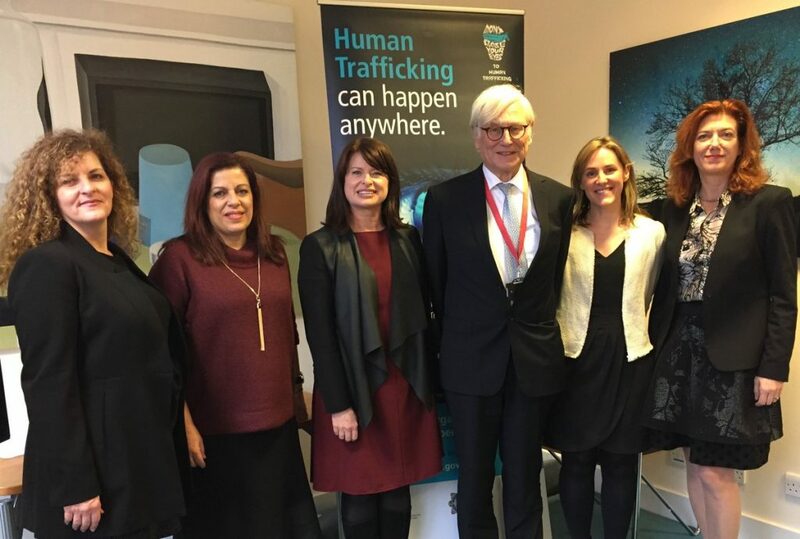 The Council of Europe Group of Experts on Action against Trafficking (GRETA) supervises states’ implementation of the obligations contained in the Council of Europe Convention on Action against Trafficking in Human Beings. Building on existing international instruments, the Convention goes beyond minimum standards and strengthens the protection afforded to victims, affording a human rights perspective. The Convention encompasses all forms of trafficking and takes into account all persons who are potentially victims of trafficking. 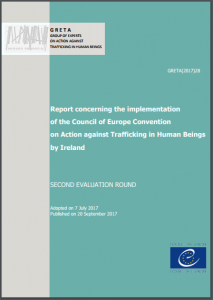 In 2016, the Commission welcomed the Second Evaluation Round by the Council of Europe Group of Experts on Action against Trafficking in Human Beings (GRETA) and submitted a detailed report in advance of GRETA’s country visit. 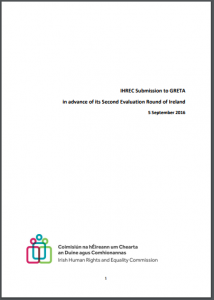 Meeting with GRETA in December 2016, the Commission raised key concerns in over how victims of trafficking are identified, protected and supported.